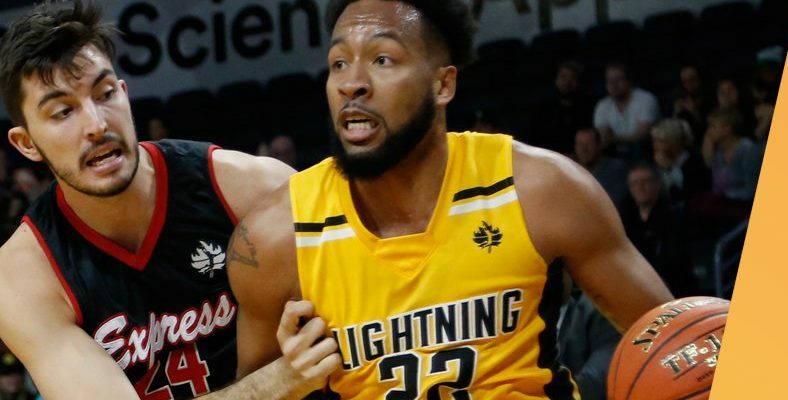 The London Lightning earned a narrow 99-98 victory over the Windsor Express on Thursday to improve to 4-2 this season. The Lightning scored a seven-point lead in the first quarter, and extended it to a 51-43 advantage as the game entered halftime. The Express took a 72-70 lead with just under three minutes left in the third frame, however, London fought back to jump back in front by four points heading into the fourth. Maurice Bolden scored a game-high 28 points for London and had 15 rebounds, while Xavier Moon put up another 20 points and had eight rebounds. Juan Pattillo led Windsor with 25 points and six rebounds, while Horace Wormely added another 16 points and six rebounds. DeAndre Thomas and Angelo Griffis scored 14 points as well. The Lightning are in London again on Saturday to take on the Saint John Riptide at 7 p.m. And then on Sunday, the Express head to Sudbury to battle the Five at 2 p.m.